In its plans to stage a war between the old gods and the new – one unrelated to the population of Westeros, mind you – Starz has rounded up a truly star-studded lineup of talent in bringing American Gods to the small-screen. That’s hardly surprising, really, considering that Neil Gaiman’s novel of the same name is brimming with complex deities that in turn offer up meaty roles for those actors on board. 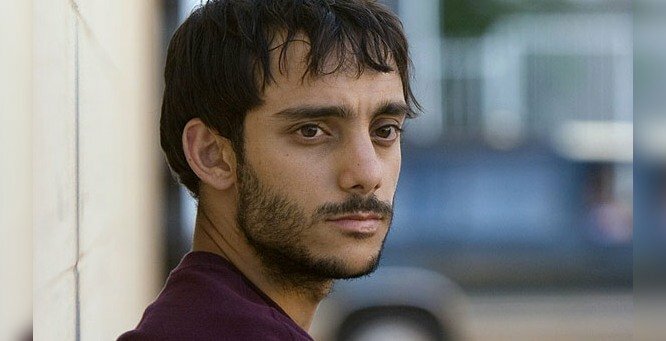 In recent weeks, we’ve caught wind of Gillian Anderson (The X-Files) Cloris Leachman, Peter Stormare and Orange is the New Black star Pablo Schreiber closing deals to star, and now, Deadline is reporting that Argo‘s Omid Abtahi is the latest to join the straight-to-series adaptation. Abtahi will play Salim, a “sweet, sad, and put-upon foreigner who is one half of a pair of star-crossed lovers.” Behind the camera, Bryan Fuller and Michael Green are the creative pair offering a seralized spin on American Gods, flanked by a team of producers that includes Craig Cegielski, Stefanie Berk and Thom Beers. For those unfamiliar with Gaiman’s source material, American Gods is, at its mythic core, a sprawling ensemble piece “reflecting society’s modern love of money, technology, media, celebrity and drugs.” David Slade, meanwhile, will helm the pilot of the adaptation, overseeing an ensemble that also features Yetide Badaki as Bilquis, Bruce Langley as Technical Boy, Crispin Glover as Mr. World and Jonathan Tucker as Low Key Lyesmith. No word of a premiere date for American Gods at the time of writing, but given that production has been underway since March of this year, expect more news to emerge sooner rather than later.